For 2011 Raleigh has introduced the Rush Hour FB bike. 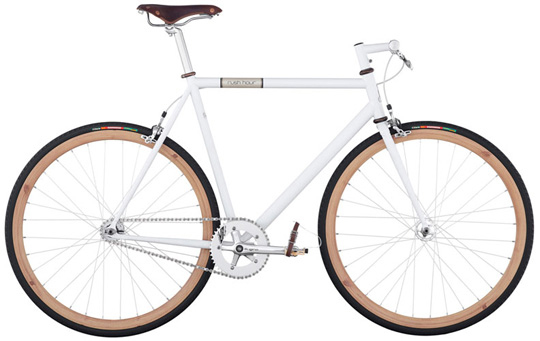 The minimalist flat bar bicycle, works both as a fixed gear and a freewheel bike, you just have to flip the rear wheel. The steel frame is light and has a nice classic look. It also comes with a track fork and faux wood rims, whick make for a nice overall look and performance.